January 2 – 17-year-old Troy Wooten mortally injures 21-year-old Jason Baughman when he provides the coda to Baughman's assault on his pregnant ex-girlfriend Megan Craig by smashing Baughman's skull with a two-foot steel pipe. Baughman is flown to the Inova Fairfax Hospital, where he dies two days later. January 8 – Circuit Court Judge Robert W. Wooldridge, Jr. sentences Troy A. Demar to 40 years in prison for stabbing his 23-year-old girlfriend Christine Allen to death in her Alexandria apartment on February 28, 1998. January 13 – A failed business negotiation in a Fairfax parking lot results in the shooting deaths of 22-year-old Robert J. Davidson and 16-year-old Alexander D. Szymkowicz. The negotiation was in fact a ruse by recreational agricultural products salesman John P. Michaelangelo to steal $900 from a group of three youths which included Szymkowicz. When Davidson brandished a cigarette lighter shaped like a handgun in furtherance of the attempted rip-off, Szymkowicz reciprocated by brandishing a handgun shaped like a handgun and fatally shot Davidson in the chest. Michaelangelo then wrestled the gun away from Szymkowicz and shot him in the head. January 24 – 44-year-old Christine Wolf confronts her husband, 41-year-old Randy M. Kuklis, with a videotape of him with another woman, then shoots him several times before committing suicide in the couple's home at 8836 Camfield Court in Alexandria. February 2 – 29-year-old Ralph J. Caudill enters an Alford plea to the charge of second-degree murder for shooting and mortally wounding his 53-year-old mother Judy in their home at 6489 Windham Avenue in Kingstowne on June 23, 1998. February 12 – Circuit Court Judge Robert W. Wooldridge, Jr. sentences Dolly Parks to 25 years in prison for the murder of her estranged husband's girlfriend, Gwendolyn T. Jackson, in Jackson's townhouse at 4559 Southland Avenue in the Lincolnia area of Alexandria on November 25, 1997. February 13 – 19-year-old Kennell Alexander resolves a failed narcotics transaction by fatally shooting 23-year-old Alvin May and wounding another man in the Cedar Ridge Apartments in Reston. February 25 – 28-year-old Clifford M. Scheid beats his 76-year-old grandmother Lois G. Hampton to death in her home at 4504 Carrico Drive in Annandale. March 19 – Fairfax Circuit Court Judge Stanley P. Klein sentences 20-year-old Charlene C. Taylor to nine years in prison for the starvation death of her son Trevon in January 1998. April 19 – Edward L. Stinnette is appointed Chief of the Fairfax County Fire and Rescue Department by the Board of Supervisors. May 7 – Matthew Harper is sentenced to 35 years in prison by Circuit Court Judge Michael P. McWeeny for the 1995 murder of his sister, Anne, and for subsequently setting the family home at 10985 Ryers Place in Fairfax on fire. May 11 – Sergey Ivanov and his wife Olga Yanovich capture a three-foot-long caiman living in Lake Accotink. Yanovich had first noticed the animal, a relative of the crocodile, in the lake on May 4. The family named him George. May 17 – 21-year-old Sean L. Robertson fatally shoots his girlfriend's other boyfriend, 20-year-old Michael T. Petruska, in Chantilly. May 26 – 63-year-old Fuad K. Taima, his 54-year-old wife Dorothy, and their 16-year-old son Leith are shot to death in the family home at 6808 Broyhill Street in McLean. June 12 – 16-year-old James H. Randall is mortally injured when he and 21-year-old Robert Clay are shot by Eddie Bennett at the Four Seasons community clubhouse at 1201 Herndon Parkway in Herndon. Randall and Clay had earlier crashed the graduation party of Bennett's daughter Shauntai and were involved in a fist fight that caused the party to break up. They returned later that evening and one of the pair started shooting in the clubhouse, upon which Bennett returned fire. Randall was taken to the Inova Fairfax Hospital, where he died early the next morning. June 25 – 17-year-old Troy Wooten is sentenced to 10 years in prison by Circuit Court Judge Arthur B. Vieregg, Jr. for mortally injuring 21-year-old Jason Baughman with a steel pipe on January 2. July 6 – 35-year-old Serena Yang is suffocated in her home at 14120 Wood Rock Way in Centreville by 43-year-old Ze Sheng Wang. July 11 – 19-year-old Micah O. Bohn, 23-year-old Joe Kern, and Timothy Jerman fatally beat 21-year-old burn artist Justin R. Rhatigan with baseball bats at the home of Bohn's 18-year-old girlfriend, Lisa A. Panko, at 7357 Springleigh Way in Kingstowne for selling them $1200 worth of aspirin pills as ecstasy. Rhatigan is taken to the Inova Fairfax Hospital, where he dies on the afternoon of July 12, becoming the county's 14th homicide of the year. July 19 – Toussaint E. Summers, Jr. becomes Chief of the Herndon Police Department. July 31 – 16-year-old Luis Ernesto Villanueva is fatally stabbed in the Lincolnia area of Alexandria. Villanueva is taken to Inova Fairfax Hospital, where he is pronounced dead. August 3 – 42-year-old Gloria Prudencio pleads guilty to second-degree murder for beating, stabbing, and finally setting her 18-year-old daughter Yiti Arevalo on fire at the family condominium at 3100 Manchester Street South in the Woodlake Towers Condominium complex in Falls Church on December 22, 1998. September 7 – 39-year-old Keith J. Gardner pleads guilty to murdering his 63-year-old mother Jannis, his 64-year-old father Jimmy, and his 90-year-old grandfather Elmer as they slept in their Lorton home on the night of April 30. September 13 – After extracting promises that they will upgrade the existing system, including an upgrade to allow customers to use their own cable-ready television sets, the Fairfax County Board of Supervisors votes to allow Cox Communications to purchase the Media General Cable cable TV system. October 11 – 24-year-old Robin J. Kehrer is strangled to death by her boyfriend, 33-year-old Jason A. Morant, in the stairwell of the office building at 3975 Fair Ridge Drive in Fairfax where they both work. November 9 – 23-year-old Joe Kern pleads guilty to second-degree murder and abduction for the fatal beating of burn artist Justin R. Rhatigan at a Kingstowne townhouse on July 11. November 11 – 56-year-old Christian B. Hughes is mortally injured by his brother-in-law, 61-year-old Issa E. Mansour, who splashes gasoline on Hughes and sets it alight at Hughes' Franconia home at 4325 Upland Drive. Hughes is airlifted to the Washington Hospital Center, where he dies two days later. November 17 – 20-year-old Tim Jerman is convicted of second-degree murder and abduction for the fatal beating of burn artist Justin R. Rhatigan at a Kingstowne townhouse on July 11. December 3 – 29-year-old Clifford M. Scheid is convicted of first-degree murder for fatally beating his 75-year-old grandmother Lois G. Hampton in her Annandale home. December 6 – 29-year-old Michael D. Waits pleads guilty to second degree murder for killing David W. Rider on October 16, 1998. December 7 – 25-year-old Lamore S. Rowe ends his fourth trial by cutting a plea deal and is convicted of second-degree murder in the fatal shooting of Joseph A. Robles during a botched robbery at Robles' Springfield home on October 12, 1994. Judge Dennis J. Smith sentences Rowe to 13 years in prison. December 14 – 20-year-old Micah O. Bohn pleads guilty to second-degree murder and abduction for the fatal beating of burn artist Justin R. Rhatigan at a Kingstowne townhouse on July 11. December 14 – 41-year-old Lien T. B. Ho is stabbed to death by her 46-year-old ex-husband Phuong at her home at 6534 Wheat Mill Way in Centreville. December 17 – Circuit Court Judge F. Bruce Bach sentences 43-year-old Gloria Prudencio to 14 years in prison for beating, stabbing, and finally setting her 18-year-old daughter Yiti Arevalo on fire in the family's Falls Church condominium on December 22, 1998. December 21 – 18-year-old Lisa Panko receives an early Christmas present in the form of a three-year prison sentence for abduction for luring 21-year-old burn artist Justin R. Rhatigan to her Kingstowne townhouse, where he was fatally beaten by Micah O. Bohn, Joe Kern and Tim Jerman on July 11. ↑ Jackman, Tom. "Teen Convicted in Parking Lot Killing; Fairfax Jury Not Swayed by Claims of Defending Woman." The Washington Post: 0. Apr 03 1999. National Newspapers Core. Web. 22 Nov. 2012. ↑ "Crime and Justice: Teen Charged in Man's Death." The Washington Post: 0. Jan 05 1999. National Newspapers Core. Web. 22 Nov. 2012. ↑ "Man Convicted in Girlfriend's Death." The Washington Post. WP Company, 09 Jan. 1999. Web. 03 Sept. 2017. ↑ Jackman, Tom. "Fairfax Man, 19, Charged in Shooting that Left 2 Dead." The Washington Post: 0. Jan 15 1999. National Newspapers Core. Web. 27 Dec. 2012. ↑ "Crime & Justice: Fairfax Teen Guilty of Manslaughter." The Washington Post: 0. Sep 11 1999. National Newspapers Core. Web. 27 Dec. 2012. ↑ "CRIME & JUSTICE:Woman Killed; Husband Wounded." The Washington Post: B07. Jan 26 1999. ProQuest. Web. 30 July 2016. ↑ "CRIME & JUSTICE: Husband Says Wife Shot Him, Killed Self." The Washington Post: B02. Jan 30 1999. ProQuest. Web. 30 July 2016. ↑ "Crime & Justice: Man Enters Plea in Mother's Shooting Death." The Washington Post: 0. Feb 04 1999. ProQuest. Web. 2 Feb. 2014. ↑ Jackman, Tom. "Wife Gets 25 Years for Killing Girlfriend." The Washington Post: 0. Feb 13 1999. ProQuest. Web. 13 Sep. 2014. ↑ Jackman, Tom. "Police Probe Shooting Death in Reston." The Washington Post: C11. Feb 14 1999. ProQuest. Web. 10 Feb. 2017. ↑ Jackman, Tom. "Man Indicted in Slaying, Wounding." The Washington Post: B05. Feb 17 1999. ProQuest. Web. 10 Feb. 2017. ↑ Jackman, Tom. "25 Years, no Parole in Slaying, Wounding." The Washington Post: B.2. Mar 04 2000. ProQuest. Web. 10 Feb. 2017. ↑ Glod, Maria. "Grandson Charged with Murdering Va. Woman." The Washington Post: 0. Feb 28 1999. ProQuest. Web. 4 Feb. 2014. ↑ Jackman, Tom. "Man Convicted of Murdering Grandmother; Fairfax Victim was Beaten to Death; Schizophrenic Killer Says He found the Body." The Washington Post: 0. Dec 04 1999. ProQuest. Web. 4 Feb. 2014. ↑ "CRIME AND JUSTICE: Woman Sentenced for Killing Infant Son." The Washington Post: B02. Mar 25 1999. ProQuest. Web. 30 July 2016 . ↑ Mustac, Frank. "Stinnette to Leave Office in May after Three Decades with Department." 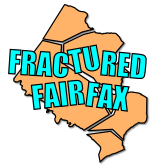 FairfaxTimes.com. Post-Newsweek Media, Inc./FairfaxTimes.com, 5 Mar. 2003. Web. 21 Aug. 2014. ↑ Jackman, Tom. "Fairfax Man Gets 35 Years for Killing Sister, Setting Fire." The Washington Post: B.07. National Newspapers Core. May 08 1999. Web. 9 Jan. 2012. ↑ Wee, Eric L., and Michael D. Shear. "Leapin Lizards! ; Couple Catches Toothy Crocodilian in Fairfax County Park." The Washington Post: B.03. National Newspapers Core. May 12 1999. Web. 21 Apr. 2012. ↑ "Man Charged with Murder; Self-Defense Claim Disbelieved." The Washington Post: B09. Sep 23 1999. ProQuest. Web. 30 July 2016. ↑ "CRIME & JUSTICE: Herndon Man Convicted of Manslaughter." The Washington Post: B02. Nov 19 1999. ProQuest. Web. 30 July 2016 . ↑ Shear, Michael D., and Maria Glod. "3 found Fatally Shot at House in McLean; Neighbors had Heard Noise 36 Hours Earlier." The Washington Post: B.01. National Newspapers Core. May 29 1999. Web. 9 Feb. 2012. ↑ Jackman, Tom. "Iraq Deal Probed in Triple Homicide; Taima was Oil Equipment Middleman." The Washington Post: B.01. National Newspapers Core. Jun 12 1999. Web. 9 Feb. 2012. ↑ Jackman, Tom, and Maria Glod. "Two Guns found After Herndon Shooting." The Washington Post: 0. Jun 15 1999. National Newspapers Core. Web. 11 Nov. 2012 . ↑ Glod, Maria, and Tom Jackman. "Party Shooting was a Case of Self-Defense, Attorney Says." The Washington Post: 0. Jun 17 1999. National Newspapers Core. Web. 11 Nov. 2012. ↑ Jackman, Tom. "Police Won't Pursue Charges in Shootings; Herndon Party Killing Isn't Closed Yet." The Washington Post: 0. Dec 10 1999. National Newspapers Core. Web. 11 Nov. 2012. ↑ Pae, Peter. "Teen Gets Prison for Fatal Blow." The Washington Post: 0. Jun 26 1999. National Newspapers Core. Web. 22 Nov. 2012. ↑ Jackman, Tom. "Man Indicted in Immigrant's July Slaying." The Washington Post: 0. Feb 20 2000. ProQuest. Web. 4 Feb. 2014. ↑ Lengel, Allan. "China to Prosecute Suspect in 1999 Fairfax Killing." The Washington Post: 0. Jan 17 2004. ProQuest. Web. 4 Feb. 2014. ↑ "Fairfax County Beating Victim Dies." The Washington Post: B02. Jul 13 1999. ProQuest. Web. 16 Aug. 2016. ↑ "Man Pleads Guilty in Kingstowne Killing." The Washington Post: B02. Dec 15 1999. ProQuest. Web. 16 Aug. 2016. ↑ "Crime Watch." The Washington Post (1974-Current file): 1. Aug 12 1999.ProQuest. Web. 26 July 2016 . ↑ Jackman, Tom. "Falls Church Woman Admits Setting Fire That Killed Daughter." Washington Post. The Washington Post, 4 Aug. 1999. Web. 26 July 2016. ↑ Jackman, Tom. "Gardner Pleads Guilty to Killing Parents, Grandfather." The Washington Post: 0. Sep 08 1999. ProQuest. Web. 2 Sep. 2014 . ↑ Shear, Michael D. "Fairfax Backs Cable Deal After Promise of Upgrade." The Washington Post: 0. Sep 14 1999. ProQuest. Web. 19 Apr. 2014. ↑ Jackman, Tom. "Boyfriend Charged in Death of Woman at Office." Washington Post. The Washington Post, 12 Oct. 1999. Web. 13 June 2014. ↑ Ebersole, Leo. "Morant's Murder Trial Starts." FairfaxTimes.com. Post-Newsweek Media, Inc./FairfaxTimes.com, 29 June 2000. Web. 13 June 2014. ↑ Jackman, Tom. "Man Convicted of Girlfriend's Slaying." The Washington Post: 0. Jun 30 2000. ProQuest. Web. 13 June 2014. ↑ "Man Pleads Guilty in Kingstown Slaying." The Washington Post (1974-Current file): 1. Nov 10 1999.ProQuest. Web. 16 Aug. 2016. ↑ "Correction." The Washington Post: A02. Nov 11 1999. ProQuest. Web. 16 Aug. 2016. ↑ 40.0 40.1 Jackman, Tom. "Man's Burns Linked to Argument." The Washington Post: 0. Nov 13 1999. ProQuest. Web. 5 Jan. 2014. ↑ "Franconia Man Burned during Argument Dies." The Washington Post: 0. Nov 14 1999. ProQuest. Web. 5 Jan. 2014. ↑ "Man Convicted in Fatal Fairfax Beating." The Washington Post: B02. Nov 18 1999. ProQuest. Web. 16 Aug. 2016 . ↑ Jackman, Tom. "Man Convicted of Murdering Grandmother; Fairfax Victim was Beaten to Death; Schizophrenic Killer Says He found the Body." The Washington Post: B02. Dec 04 1999. ProQuest. Web. 28 Jan. 2018. ↑ "CRIME & JUSTICE:Guilty Plea in Slaying of Organist." The Washington Post: 0. Dec 07 1999. ProQuest. Web. 2 May 2014. ↑ Jackman, Tom. "Plea Closes Retrial in Springfield Killing." The Washington Post: B, 2:4. Dec 08 1999. ProQuest. Web. 4 Feb. 2017. ↑ "Man Pleads Guilty in Kingstowne Killing." The Washington Post: B02. Dec 15 1999. ProQuest. Web. 17 Aug. 2016. ↑ Jackman, Tom. "Slain Va. Woman had Protective Order." The Washington Post: 0. Dec 16 1999. ProQuest. Web. 3 Feb. 2014. ↑ Jackman, Tom. "Falls Church Woman Sentenced to 14 Years for Killing Daughter." The Washington Post (1974-Current file): 1. Dec 18 1999. ProQuest. Web. 26 July 2016. ↑ "3-Year Term in Fatal Abduction." The Washington Post: B02. Dec 22 1999. ProQuest. Web. 17 Aug. 2016 .